Mango is planning to open 60.000 new square metres of selling space throughout 2019 between company stores and franchises. Specifically, 15,000 square metres correspond to 27 new company stores and 45,000 square metres to new franchises located around the world. Mango is implementing a retail model based on opening larger stores, in parallel to the closure of smaller stores. En 2019, the net balance of new selling space will be 15,000 square metres. 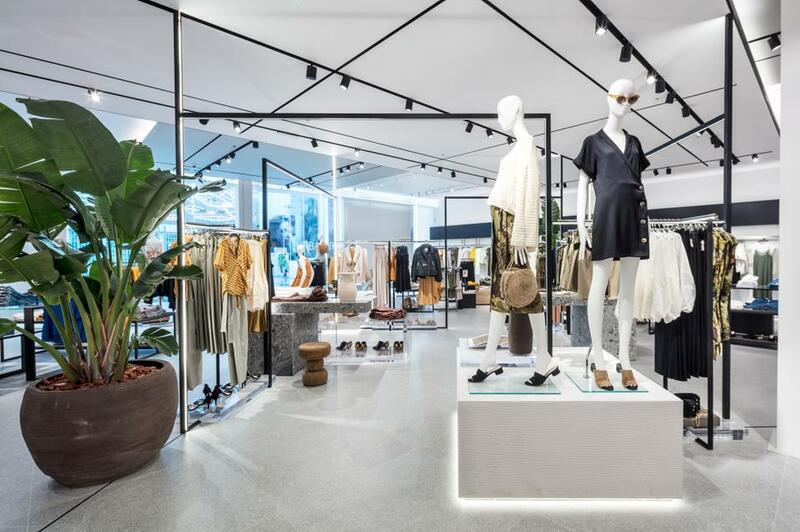 SInce Mango began to transform its store network in 2012 Mango, it has increased by 300,000 m², while the average size of its stores has increased by 54%. At the close of 2017, the group had 2,190 stores in 110 countries and the selling space had grown by 1.8%, increasing from 798,000 to 812,000 m². The company closed the financial year with 211 megastores, 20 of which opened last year. The new store openings and the profound refurbishment of other stores in order to adapt them to the new ‘The Line’ image account for much of the investment made last year. The most emblematic store openings were the flagships of SoHo in New York, Serrano in Madrid and Restauradores in Lisbon. With regard to the distribution of company stores and franchises, at the end of last year franchises represented 55% of the chain’s retail outlets. Mango is committed to the franchise model as a means of growing its commercial network worldwide. Furthermore, Mango recorded a spectacular increase in its online sales and in the percentage they make up of the group’s total turnover. In 2017, the turnover of this channel rose by 15.4% to reach the figure of 339.2 million euros, and it now represents 15.5% of total turnover. Throughout 2018, the growth in online sales has accelerated and the company expects that online sales will reach 20% of total turnover during 2019, a target initially established for the close of 2020. In addition, Mango will have new offices in Barcelona’s 22@ district. The company expects to open the new facilities in early 2019. The offices, which will have a surface area of between 800 and 1000 m2, will house the company’s digital innovation centre, whose aim will be to meet the ambitious growth targets established for the online business, and to develop the onmi-channel selling projects planned for the coming years. Initially, only a small part of the current Headquarters team will transfer to the new offices, to which new personnel will be added, reaching a total of 100 people within a period of two years. The teams working at the innovation centre will continue to collaborate side-by-side with the other teams at the company Headquarters in Palau-solità i Plegamans. MANGO sells online in over 80 countries, offering a shopping experience that is totally integrated with the physical stores. The firm now offers through its online channel home deliveries the following day in the major cities of Europe, as well as in all the provinces in Spain. It also offers different delivery options, such as collection from MANGO stores or home delivery in the most major markets. In the last financial year, MANGO has made a significant investment to continue incorporating improvements in user-friendliness and the browsing experience of its online portal, in order to guarantee the improved shopping experience of its customers via any device. It is worth noting the implementation of artificial intelligence in order to offer appropriate product recommendations during the browsing experience, and to send personalised notifications based on customer preferences, or to help customers choose the right size while purchasing. Similarly, as a result of the launch of the e-receipt in physical stores, customers can consult their entire purchase history on the website and on the MANGO app.